The “Father Brown” detective series of books include the most popular writings by Gilbert Keith Chesterton. They were written in the early 1900’s and even today they are still being adapted for television. 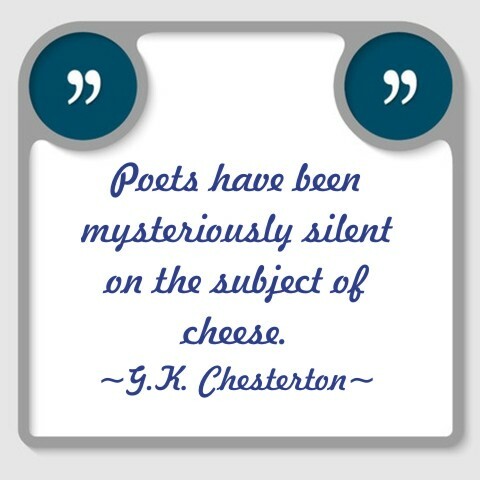 While Mr. Chesterton never considered himself a good writer he was actually extremely gifted and could write anything. He has published more than 70 books. Here are just 20 powerful G.K. Chesterton quotes from this gifted, outspoken and clearly witty author. There is the great lesson of ‘Beauty and the Beast,’ that a thing must be loved before it is lovable. Psalms 36:8 – They shall be abundantly satisfied with the fatness of thy house; and thou shalt make them drink of the river of thy pleasures. Psalms 127:5 – Happy [is] the man that hath his quiver full of them: they shall not be ashamed, but they shall speak with the enemies in the gate. Proverbs 3:13-18 – Happy [is] the man [that] findeth wisdom, and the man [that] getteth understanding. Beware of no man more than yourself; we carry our worst enemies within us. The people who are the most bigoted are the people who have no convictions at all. Deuteronomy 30:19-20 – I call heaven and earth to record this day against you, that I have set before you life and death, blessing and cursing: therefore choose life, that both thou and thy seed may live: That thou mayest love the Lord thy God, and that thou mayest obey his voice, and that thou mayest cleave unto him: for he is thy life, and the length of thy days: that thou mayest dwell in the land which the Lord sware unto thy fathers, to Abraham, to Isaac, and to Jacob, to give them. Proverbs 14:27 – The fear of the Lord is a fountain of life, to depart from the snares of death. Romans 5:10 – For if, when we were enemies, we were reconciled to God by the death of his Son, much more, being reconciled, we shall be saved by his life. 1 John 5:20 – And we know that the Son of God is come, and hath given us an understanding, that we may know him that is true, and we are in him that is true, even in his Son Jesus Christ. This is the true God, and eternal life. Every man is important is he loses his life; and every man is funny if he loses his hat and has to run after it. Psalms 85:11 – Truth shall spring out of the earth; and righteousness shall look down from heaven. Psalms 86:11 – Teach me thy way, O Lord; I will walk in thy truth: unite my heart to fear thy name. Ephesians 4:15-16 – But speaking the truth in love, may grow up into him in all things, which is the head, even Christ: From whom the whole body fitly joined together and compacted by that which every joint supplieth, according to the effectual working in the measure of every part, maketh increase of the body unto the edifying of itself in love. Ephesians 4:21-24 – If so be that ye have heard him, and have been taught by him, as the truth is in Jesus: That ye put off concerning the former conversation the old man, which is corrupt according to the deceitful lusts; And be renewed in the spirit of your mind; And that ye put on the new man, which after God is created in righteousness and true holiness. It was so much fun to learn about this talented writer as I was researching for this article. Do you have any quotes by G. K. Chesterton that you would like to share in the comments below? I’ve been collecting faith-related quotes (over 1,000 of them!) for over 15 years and finally decided to organize them all and share them with the world. I recently created http://www.CatholicQuotations.com and would love for anyone and everyone to pay it a visit and share any quotes of your own! Thanks for your great post, and God bless! Next post: How Can We Recognize False Doctrines?